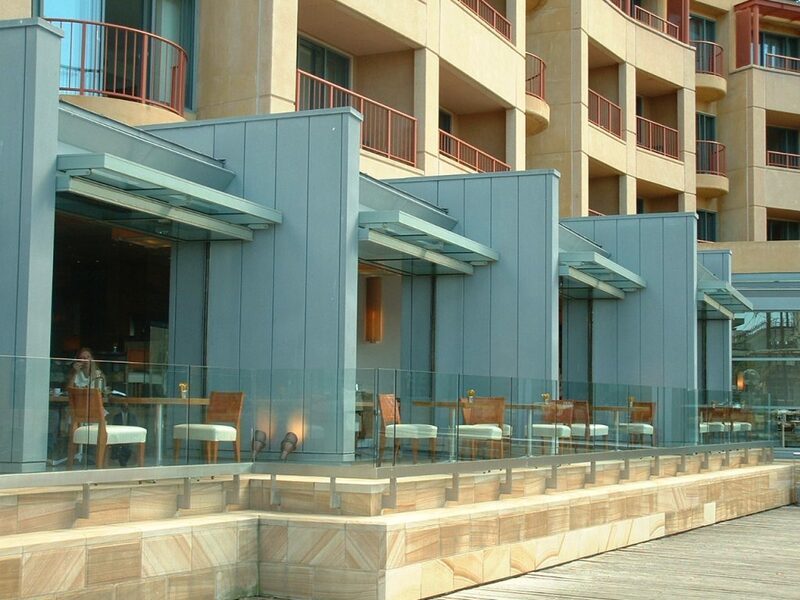 Renlita Series 3000 innovative doors span to make an outstanding statement. 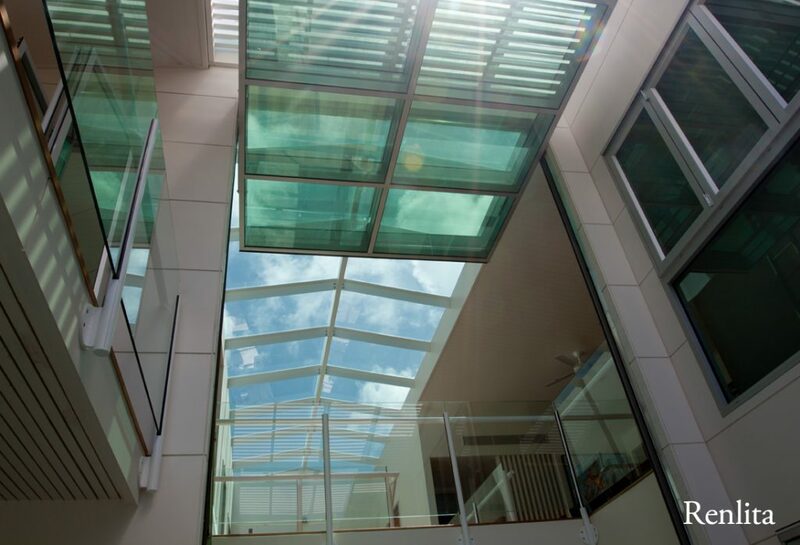 With the capacity to accept a wide variety of sizes, claddings and glazing patterns, they have the potential to radically showcase your building. 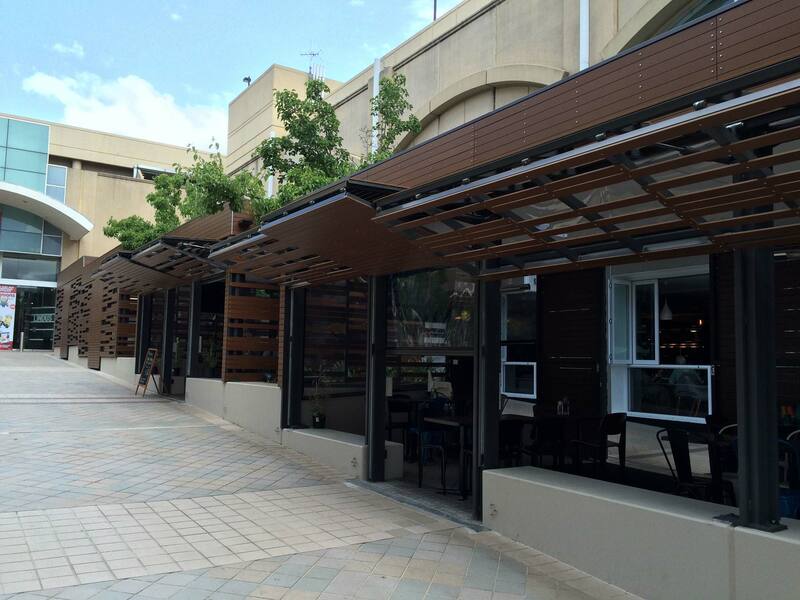 The Renlita Foldaway Series 3000 counterweight balanced door spans up to 30m to make an outstanding statement. 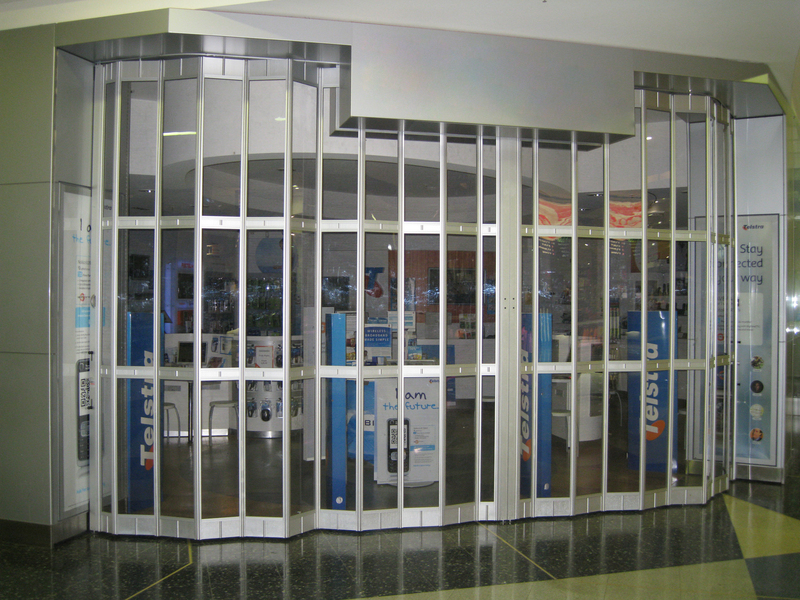 This door is designed to suit most commercial and industrial applications. It is widely used in mines, fire stations, ambulance stations, warehouses, transport depots, factories, garages and showrooms. 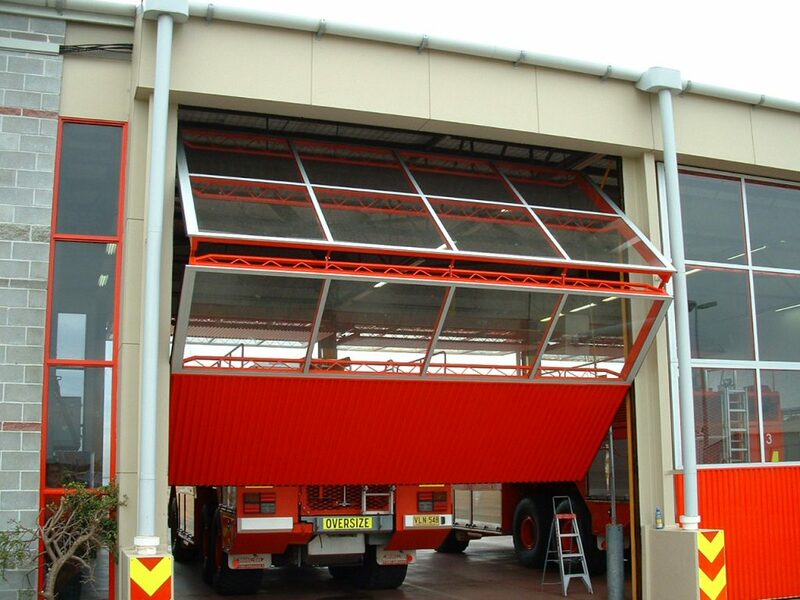 The Series 3000 door is a two leafed overhead folding door, hinged horizontally and rises vertically to stack in a folded position under the lintel. 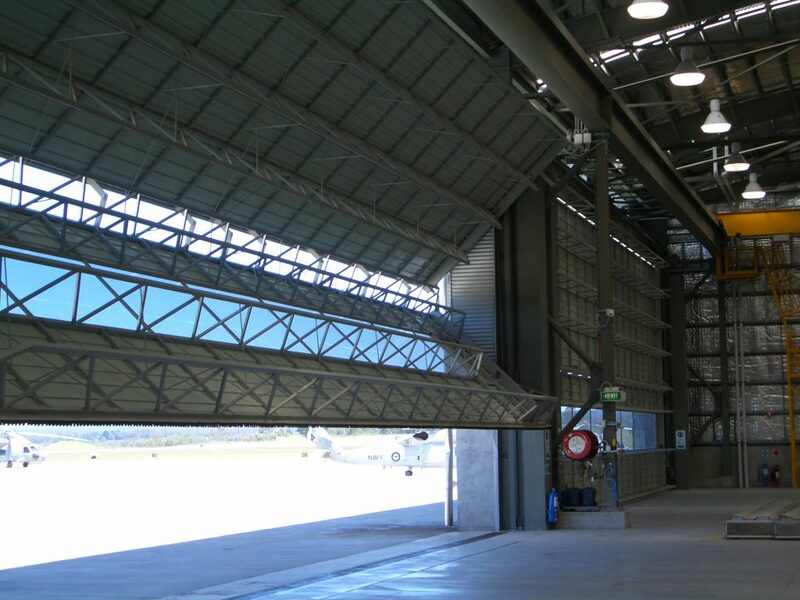 Wind loading can be a critical design factor especially in cyclone prone areas. 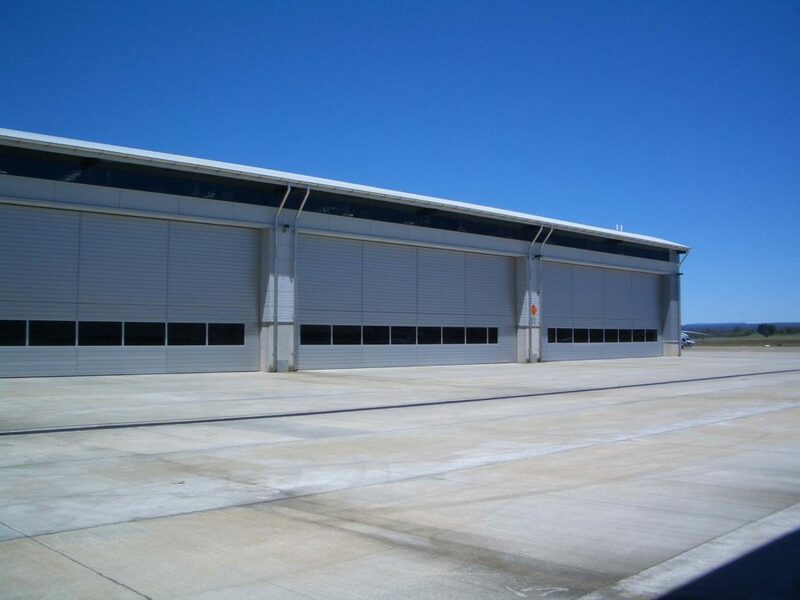 Unless otherwise specified the doors are designed to resist a minimum wind loading of 0.5 kPa. Monarch Renlita has incorporated a new safety feature to the Counterweight door range. Through innovative design and extensive in-house testing, we have developed and patented the Anti-fall brake. 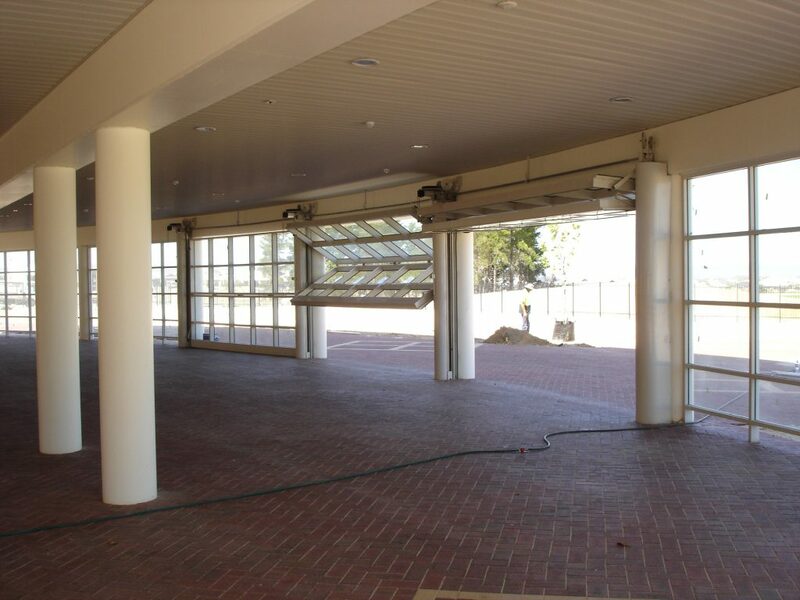 Our Counterweight doors are designed with a safety factor of 6 to 1 and the new Anti-fall brake increases this measure by incorporating a brake mechanism in the event of a cable failure. Ensure the opening is plumb and true. There should be sufficient room at the front and rear of the opening for projection, as well as adequate pulley and nib room. 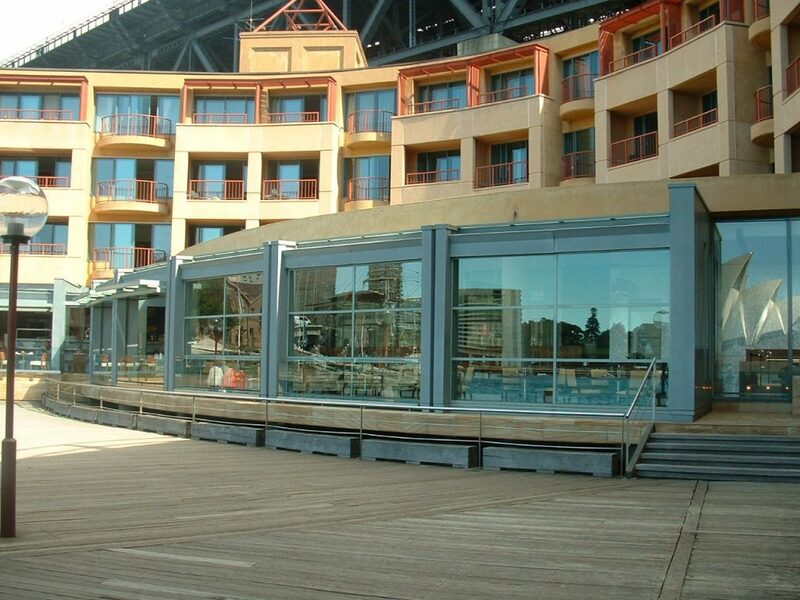 Doors are constructed from rectangular hollow steel sections and suitably braced for minimum deflection in the open and closed position. The standard design is based on 0.5 kPa wind load. This may be altered to suit particular situations. Thus the desired wind load must be stated, when specifying this product. 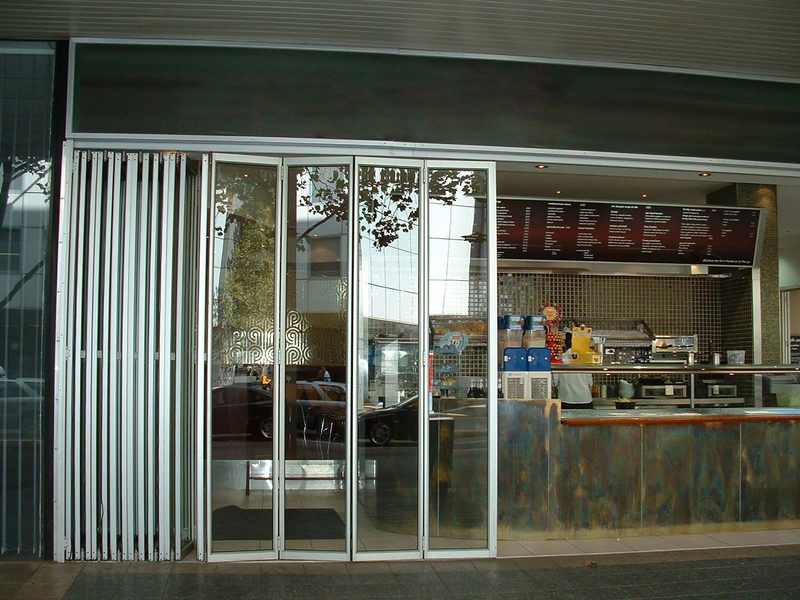 Doors can be clad with various sheeting materials. 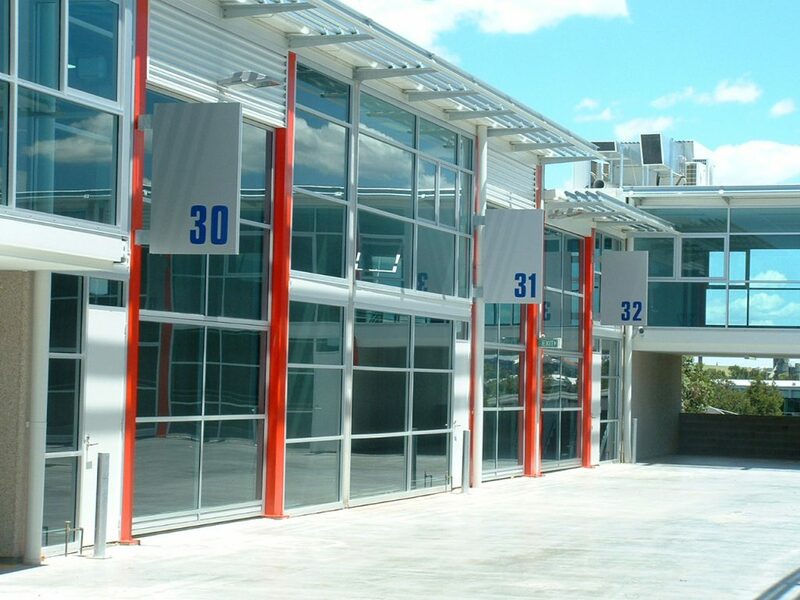 Standard Colourbond profiles are commonly used, however specialised profiles can be used. Please consult the manufacturer on the use of non standard sections. 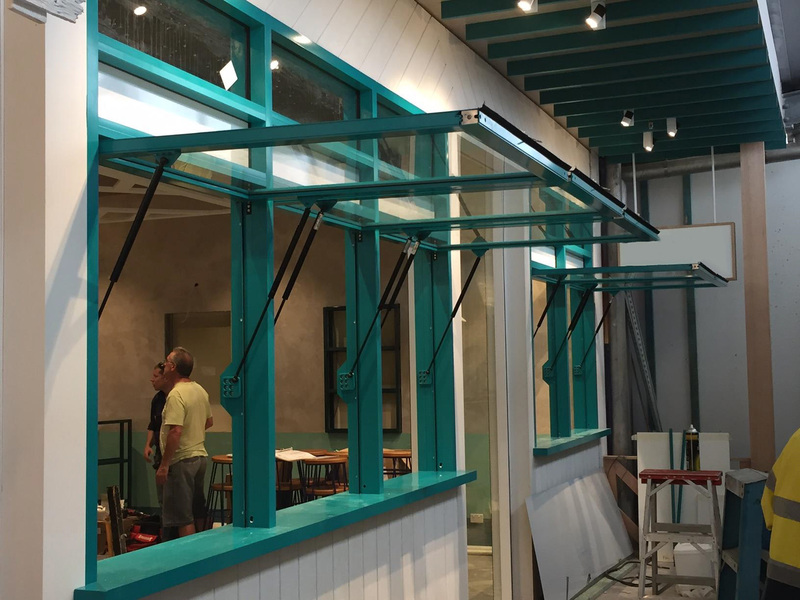 Doors can be partially or fully glazed for viewing or showroom display and are glazed in accordance with AS1288. 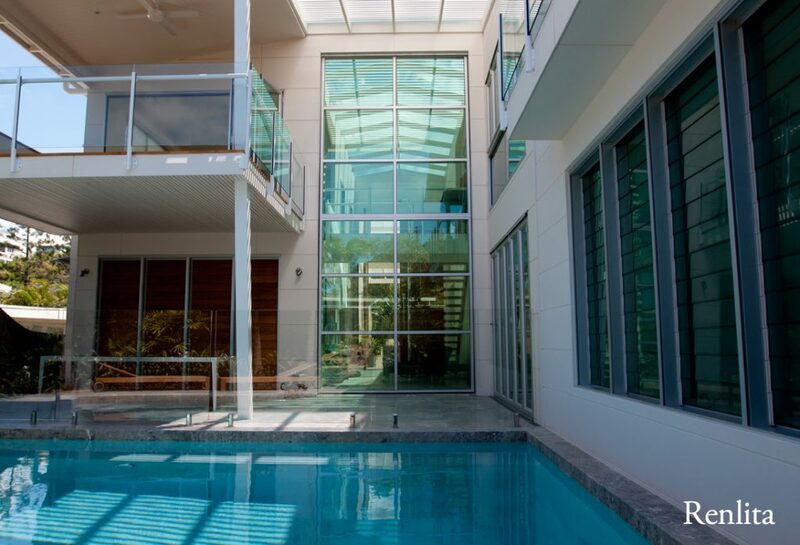 Standard glazing uses 6.38mm laminated safety glass. 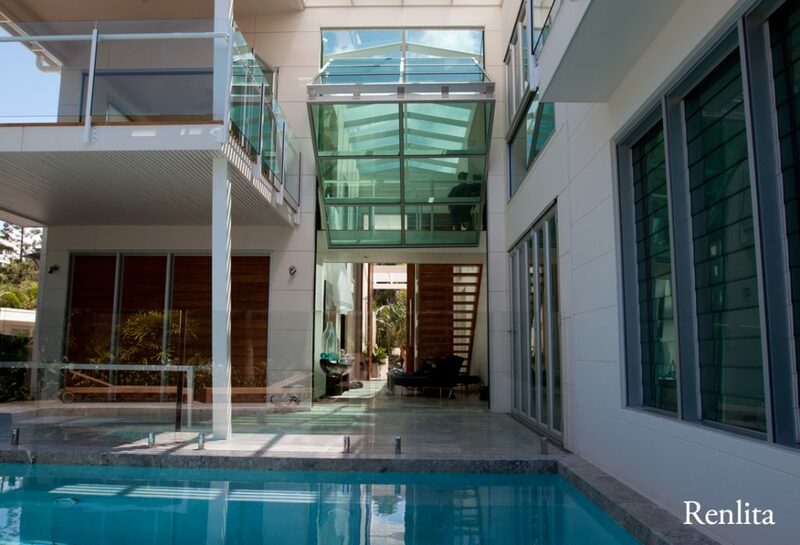 The use of other glass or glazing material should be referred to the manufacturer due to additional weight, deflection, door design and construction. Glazed doors will generally incorporate a kickplate in the base of the bottom leaf. Door size and weight will determine kickplate height. 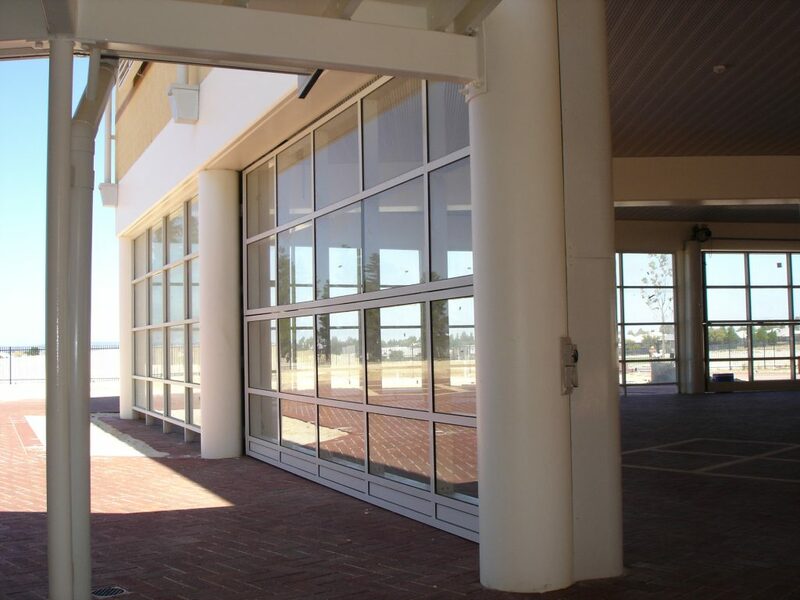 This door is constructed of standard RHS frame covered with 20mm square hollow steel tube welded vertically over the entire door face at approximately 120mm centers. 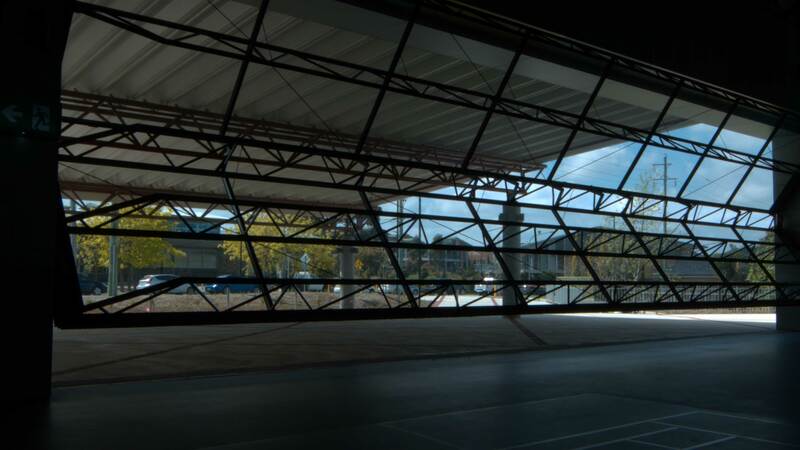 Other available cladding commonly used are plywood, mesh, perforated sheet, woven wire and galvanized sheet. Standard finish on frames and channels is epoxy primed and polyurethane. On glazed doors beading can be anodised or powdercoat finish. Other finishes are available if required, please specify. By use of internal padbolts unless otherwise specified. Motorised doors will not be fitted with locks. The counterweights shall be protected and covered with a removable pressed sheet to meet design requirements. Can be incorporated into door design providing bottom leaf height is sufficient. Locking is by a night latch unless otherwise specified. 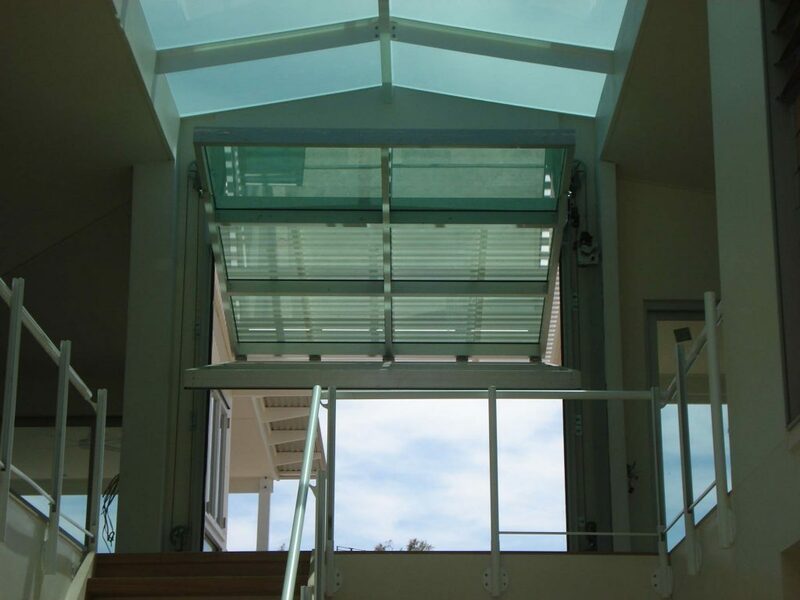 It is recommended that access doors open inward on a Series 3000 door. Operation by a ramp and carriage designed for smooth opening and closing. The carriage is driven by an overhead shaft connected to a three or single phase drive unit incorporating open and close limit switches. 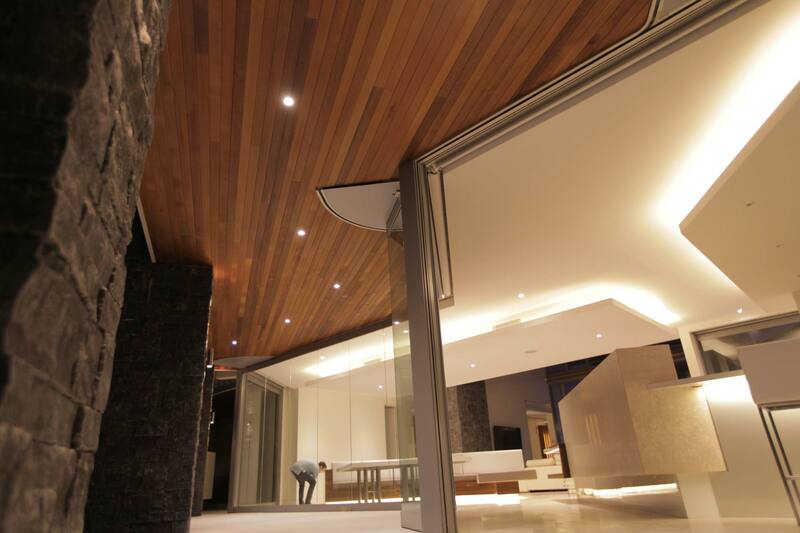 Doors may be electronically operated and fitted with sophisticated control systems as required. 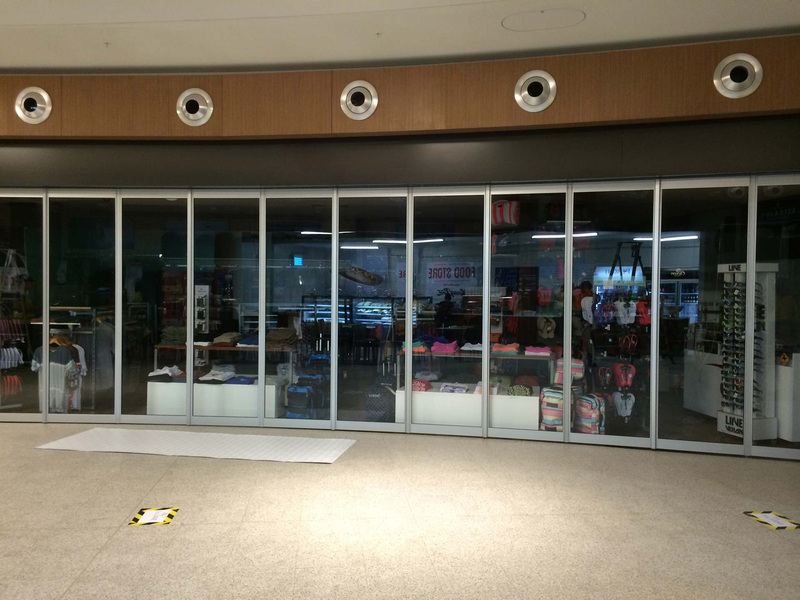 Advise whether doors to be designed for future electric operation. For more information about Renlita Series 3000, contact us today.